Order My Glam Box Today! Step 2: Receive your Glam Box every month worth between £40-£100. Boxes are sent out after the 15th. Step 3: Enjoy your new MUA recommended make up and beauty products. What is My Glam Box? MY GLAM BOX is the FIRST and ONLY make up artist recommended discovery platform in the UK. Every month, we deliver make up artist recommended, hand-picked make up and skin prep products straight to your doorstep. We also promise you a pair of eyelashes in each box, the rest is a surprise! So exciting. For only £15 a month, you receive a box of make up worth anywhere between £40-£100. We can’t tell you that; it’s supposed to be a surprise! We promise you a pair of lashes each month though, okay? The number of products in each box varies depending on the brands we work with but the RRP is still between £40-£100. How many products will I get? Are they full size? This will depend on the brands we include in each box. But you can expect between 3-5 full size products with a pair of eye lashes included every month. Due to shade matching, there won’t be foundations included in the box. What if a lip or eye shadow shade doesn’t suit me? MY GLAM BOX is all about trying new shades, new brands and exploring new looks. If a shade isn’t your thing, why not share the love and gift it to a friend? What else is in my box? Oh we cram so much in! In each box, we offer exclusive discount codes for the products so when you run out of your new fave, the money-saving continues! Clothing brands are getting in on the fun too, so expect to get some exclusive discount codes as well. We might even throw in a few sweets here and there for a treat. We have a serious sweet tooth. We try our best to include vegan products where possible; however we can’t guarantee all products in every box are vegan. We do try our best though – promise. We only work with brands who do not test on animals. We love animals – how could anyone ever hurt one?! Do you cater for sensitive skin? At the moment, we provide one set My Glam Box. However, each box includes an information insert and product ingredient list for you so you can check out what’s in each product. We are planning on launching separate boxes catering for allergies later this year as we work with and explore different brands. We hope you never want to leave us, who would want to let go of savings of up to £85 a month? But if you do, it’s okay – we’re still friendly even if you want to go. We just ask that you give us enough notice that you want to go and contact our customer care team before the 15th of the month you want to cancel. E.g. If you want to cancel July’s box, you need to email us before 15th June; help@myglamsquad.co.uk. Nice and easy. What is the deadline to cancel My Glam Box subscription? For monthly subscriptions we need to receive cancellations by the 15th day prior to your desired finishing month. Any cancellation past that date will end with the following months box. For example, if you subscribe on the 1st of the month you would need to cancel before the 15th of the same month, otherwise you will be enrolled for one more box with us. Please note that if you’ve already been billed for the current month (usually on the 1st for the monthly subscription), your cancellation will be effective starting next month. IMPORTANT: If you sign up and cancel after the 15th you will receive that month’s box which you are subscribing to along with the following month’s box, which will then be your last. Boxes are sent out on dispatch each month after the 15th. I've signed up, will I receive this months box? Subject to subscription availability, if you sign up by the last day of the month you will receive that month’s Glam Box. Not only is the box incredibly beautiful (you will never want to throw it away) it is good for the environment too. We receive our packaging from a company who specialises in recycled and ethical packaging. Not only do we love animals – we love trees too. I love my box so much, can I feature it on my Youtube, blog, insta? Of course you can! Go crazy, tag us if you like @myglamboxuk. There are real people behind our social media and we love seeing your content! We may even give you a cheeky repost too. 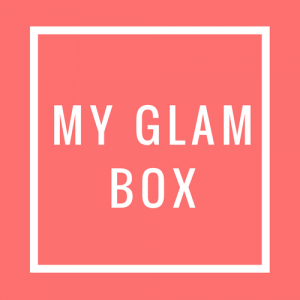 I’m a blogger and I love My Glam Box – who can I talk to? We are so PR friendly, we love animals, trees, humans. Drop us an email with us as much info as you can about you to bloggers@myglamsquad.co.uk and we’ll get back to you as soon as we can.